 ReadWriteBody is an ongoing series where ReadWrite covers networked fitness and the quantified self. From December 2013 to January 2014, it is presented by Qualcomm Toq. 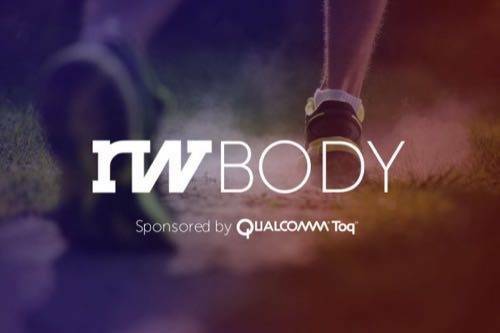 I’ve tried tons of workout-generating apps—Gain Fitness, Fitness Buddy, BodBot, Gym Tuck, and more. None have actually prompted me to switch from my established workout routine. And then came FitStar. For the past couple of weeks, I’ve been testing FitStar’s iPhone app, and I think I’ve found a winner. What’s different about this app? FitStar adapts both its workouts and its coaching to you, using routines and video generated on the fly and precisely tuned to your physical abilities. It looks like a fitness DVD, starring football player Tony Gonzalez, but without the boredom factor that comes from repeating the same workouts. 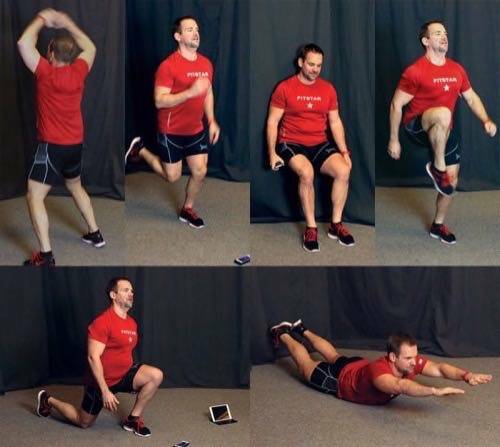 FitStar’s first product was an iPad version of its customized workouts. But the product adapts surprisingly well to the iPhone. FitStar managed that by stripping out extraneous elements from the interface. For example, rather than having playback controls on the screen, you simply pause the workout by touching the screen, which brings up play, reverse, and fast-forward buttons. Aside from tweaking the interface for a smaller screen, FitStar has kept key elements I liked. There’s a fitness test that calibrates workouts to your starting level, a selection of workouts for different goals, and new workouts available for download—both free and paid. FitStar CEO Mike Maser tells me that rather than buying workouts individually, users have preferred to buy time-based passes—an annual $49.99 subscription or 4-, 8-, or 12-week programs, as cheap as $4.99 a month, which allow for unlimited workout downloads. FitStar workouts rely on basic bodyweight exercises, tweaked specifically to challenge you based on a fitness test. FitStar sticks to bodyweight moves you can do with minimal equipment—pull-ups on a door frame, dips on a pair of chairs, and the like. I didn’t have great expectations for this kind of workout, but I gave it a try. I wore a heart-rate monitor to determine if the workout was objectively challenging, rather than just relying on my own impression. The result: FitStar’s 35-to-40-minute Get Lean workouts consistently spiked my heart rate up above 150 beats per minute, a good zone for burning calories and stoking my metabolism. Jumping jacks and side planks may not sound exhausting, but do them long enough, in the right sequence with other moves, and you have a killer workout. Constant feedback keeps FitStar adjusting to your new performance levels as you progress. That’s where FitStar’s customization comes into play. Relying on the initial test and your subsequent feedback, FitStar tunes the workouts for you. I noticed that when I rated a move as “too easy,” the seconds inched up in the next round. “Brutal” feedback prompted the app to dial it back, while still keeping the overall workout tough. And I didn’t get bored, because FitStar’s algorithms constantly mixed up the audio and video in a way that kept it fresh. That’s the app’s real technological achievement: It takes the hundreds of hours of video footage FitStar has recorded, and cleverly splices it together so that it can serve one user 30 seconds of a trainer demonstrating a move and another one two minutes, with the high production values of a fitness DVD. In other words, where other digital-fitness apps spew out bits and bytes about our bodies and make you do the work of analyzing them to figure out what you should change, FitStar crunches it for you, and gives specific recommendations, in a pleasing interface. That’s the right way to handle the avalanche of fitness data that’s coming our way. FitStar employees test out a workout at their office. In the beta version I tested, FitStar had some rough edges that the company promised it would soon fix. I encountered some glitches with audio, especially when trying to use iTunes Radio as my music source. (Third-party music apps like Pandora seem to work better.) And the app worked best if you left it on the floor or on a bench, rather than in your pocket—accidental touches paused the workout. I’d like to see FitStar develop an audio-only mode, so you can skip the video coaching if you’re familiar with the moves, and rely on the app just for pacing cues. Every move has a video demo and a customized clip of a trainer doing the workout with you. Still, I see a lot of potential for the app. Maser, FitStar’s CEO, told me that the app currently includes about 70 moves, but his company has filmed more than 200, which could vastly expand its repertoire. In an interview, CTO and cofounder Dave Grijalva’s eyes lit up when I mentioned my interest in heart-rate monitoring. The app doesn’t currently hook into any heart-rate devices, but it’s easy to imagine a heart-rate reading substituting for a user’s own subjective judgment of whether a particular move was easy or hard. 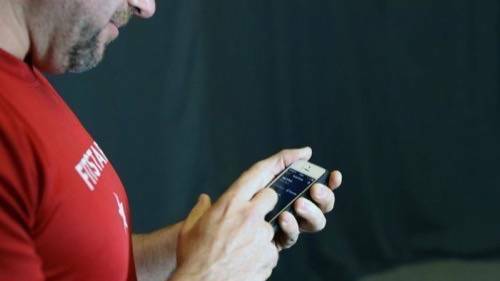 That would also save users from the need to constantly tap the app to rate moves, which can be a distraction from the workout. And even though FitStar has persuaded me that bodyweight workouts can be effective, I’d like to use its pacing and video coaching for weights, yoga, and other modes of exercise. Right now, though, FitStar has a highly effective workout generator that could help a lot of people who don’t want to go to a gym or sign up with a personal trainer. And the move from iPad to iPhone promises to boost its popularity considerably—an effect news-reading app Flipboard saw when it did likewise several years ago. Sponsored by Qualcomm® Toq™—the smartwatch that’s always on, active and visible in any light.